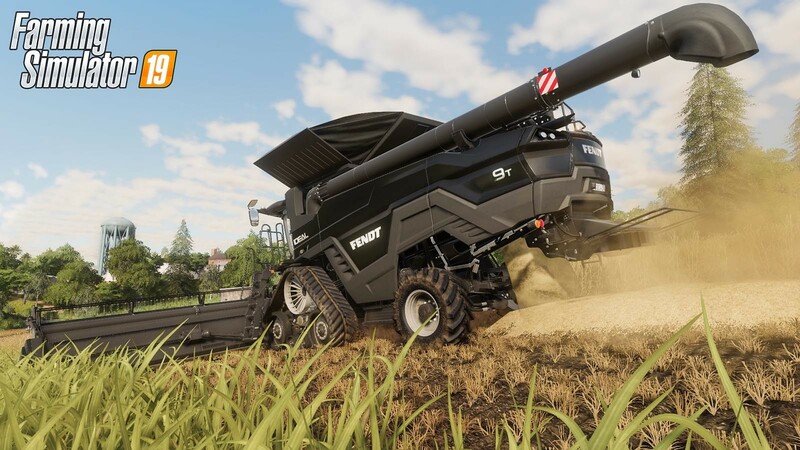 Prepare the fields for the upcoming Farming Simulator 19 which is set to later tonight. While you wait for the game to launch, find out more about it with our handy recap guide! What is Farming Simulator 19? Farming Simulator 19 (also known as Agricultural Simulator 19) is the long-awaited sequel to the 2016 Farming Simulator 17. After 2 years fans have waited patiently for the sequel, and it looks set to deliver a worthwhile experience that should please players. But what exactly is the game about? You're put into the boots of a fresh farmer with the job of building up your very own farm by planting crops, harvesting them and even tending to your own animals! Players will be able to pick from two large open worlds to explore, with Europe and America providing new challenges and visual treats to explore. Buy land, build stables, plant seeds and get behind the wheel of over 300 agricultural vehicles, including replicas of licensed machines such as John Deere, Fendt, Massey Ferguson, Valtra and more. No matter what task you're up to, you'll have a selection of handy tools to complete it. The game not only features a larger fleet of vehicles compared to any previous title, but you'll also be able to raise horses and ride them in the open fields. Whether you're wanting to get around town, or simply exploring the landscapes. Farming Simulator 19 also has been overhauled with the graphics to offer an even richer experience with more realistic visuals, even on the vehicles themselves that have been faithfully recreated from their real-life counterparts. There's also the ability to Farm with a friend thanks to the Multiplayer mode which makes a return. Work together and build up the perfect farm, or compete against others thanks to the new competitive mode. No Farming Simulator would be complete without mods, and you can be sure the community is already waiting to create some fantastic additions to the game. Looking for a recap on all Farming Simulator 19 trailers, gameplay videos and other videos you've missed? We've put together a playlist for all that below! If the release goes smoothly you can expect to play Farming Simulator 19 from tonight at 23:01 GMT. Though it may be pushed back barring any technical issues which we have no control over. Note: Focus Home Interactive and GIANTS have opened up the preload for Farming Simulator 19 and keys have been sent out to all customers. You'll find the game on your account page, and you'll have also received an email to alert you. Farming Simulator 19 launches November 20th, you can pre-order the game to get the Mahindra Retriever Utility Vehicle Bonus DLC for free. You can also save an extra £2 when using Amazon Pay to pre-order! Problems with Farming Simulator 19? We're here to help! Getting a new game is an awesome experience and we want to make that as trouble free as possible, so we've put together a guide of common troubleshooting problems and FAQ's to help you out with Farming Simulator 19 on PC. You can find our Help Topic here.